Volunteering with bears in Romania is one of Oyster’s favourite projects- who could not love the world’s favourite “cuddly” animal. Volunteering with bears is something that many people dream of doing, and each year many lucky Oyster volunteers head out to Romania to do just that. 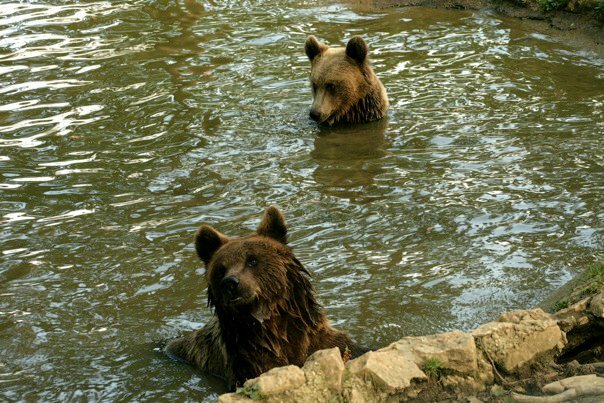 Volunteering with bears in Romania is the perfect way to actually really get to know Romania, its culture and its people. You will be working closely each day with Romanians, who are very unusual for their passion and love for wildlife. In a country where not everyone can afford to live comfortably, worrying about wildlife tends to take a secondary seat to survival – understandably. Yet these workers strive tirelessly through the day for these rescued bears, and love having the volunteers to help – even, as in many cases, when the language barrier poses problems. You will be helping with the day to day running of the sanctuary- preparing food for the bears, feeding them, spending time relaxing with them and just enjoying being where you are. You will help out with the occasional tours that go around the sanctuary, and share all of the knowledge that you acquire with the people you are taking round. You will also help on the food runs- and even with helping the bears settle into their new lives. Previous Post Top 5 trekking kit items not to be forgotten!